Russian children’s rights ombudsman Pavel Astakhov says he is ready to bail Svetlana Davydova – a housewife accused of high treason – out of jail, to allow her to return home to her children until the trial. 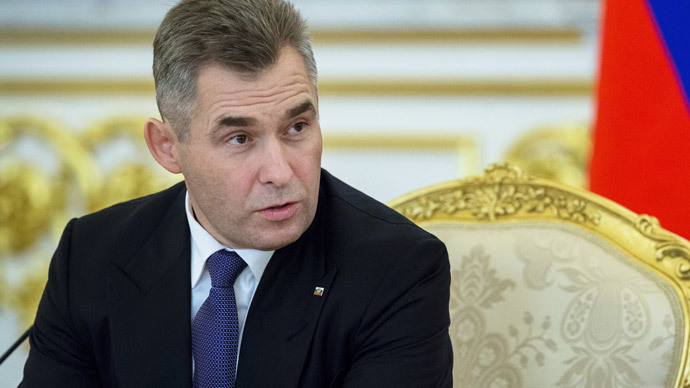 Davydova’s children need a mother, Astakhov told Kommersant FM. He said the children should be the first priority, no matter what their mother allegedly did. The fact that she has several underage children should be taken into account, he added. “We are ready to produce a written bail when release on bail will be considered by the court. Now we do everything possible so that the kids are not taken from the family by social services,” he said. He added that there are enough relatives in the family, and there were no reasons to take the children away from their home. Four of them are Davydova’s natural children; the three additional children are her sister's – born from the same father. Не нарушая целей предварительного расследования, независимо от тяжести обвинения считаю возможным ходатайствовать о возвращении мамы детям. Davydova was detained on January 21 in her apartment in the city of Vyazma, located in the Smolensk region in western Russia. She is being held at Lefortovo pre-trial detention center in Moscow. The court ruled that she will be detained until March 19. The woman is accused of calling the Ukrainian embassy and alleging that Russian troops may be sent to Ukraine. If found guilty, she faces up to 20 years in prison. Smolensk regional officials said they have no intention of taking her children away. A representative of the local authorities told RIA Novosti that the children are now with their father, who has not been deprived of parental rights. According to Davydova's lawyer, Andrey Stebenyov, the woman has admitted to contacting the Ukrainian embassy. According to the lawyer, Russia's General Staff said the call involved national security information, and leakage could hamper the fortification of the Russia-Ukraine border. The lawyer insists that an independent examination should be carried out.